I’ve played this a couple dozen times or more, and every time it has hit me differently, sometimes gentle, sometimes overtly avant-garde, sometimes quite ambient and relaxing overall (in fact variations of the latter are probably my most typical response), but other feelings are hidden within the elongated and interactive layers of the primary title track. 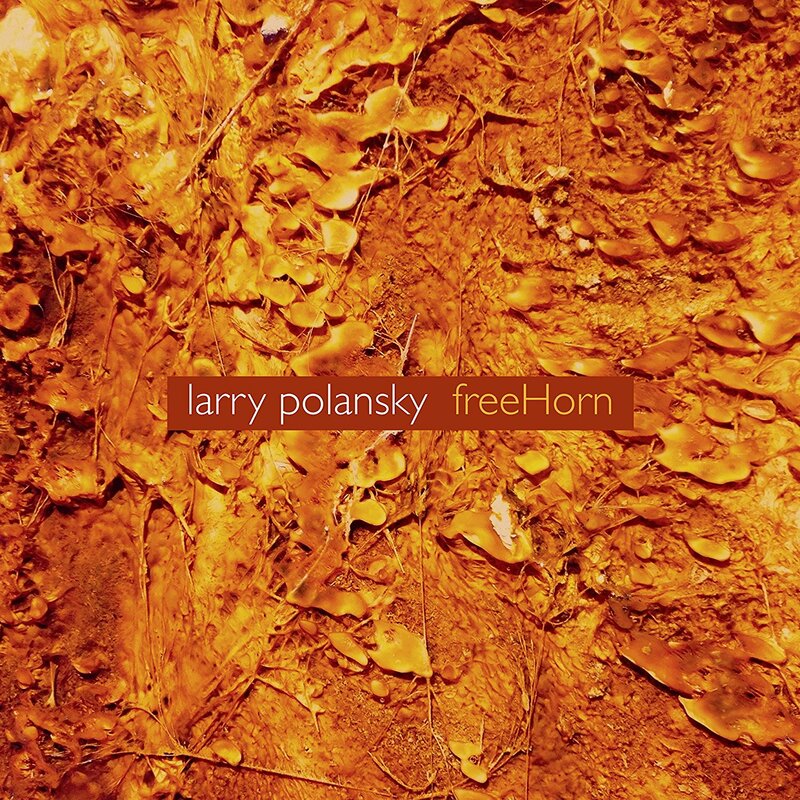 Unlke many composers on the Cold Blue label, Polansky actually plays, as well as composing and arranging the pieces. The 20 minute title “FreeHorn” opens the set with Polansky performing on fretless electric guitar, with Giacomo Fiore on a standard electric guitar (for lack of a better term, nothing here is standard), Amy Beal (piano), David Dunn (electric violin), Monica Scott (cello), Tom Dambly (trumpet), Krystyna Bobrowski (French horn), and David Kant on tenor sax and computer. These musicians all hail from the Sana Cruz / Oakland / San Francisco area, and all are respected musicians and composers in their own rite, members of various ensembles at Mills College, UC Santa Cruz, and others in the greater Bay Area. “FreeHorn,” over its duration using protracted notes and multple layers of sound and silence produces a near trance like effect. The second piece “ii-v-i” is a little over eight minutes, and features only Polansky and Fiore on their respective guitars, a tightly composed sequence of criss-crossing colorful geometric musical shapes that cover the full range of the instruments, providing an intense kaleidoscopic world for the imagination to explore within. The album closes with “Minmaj,” another guitar duo, this time with both players on fretted electrics, doing an arrangement of Carl Ruggles’ 1921 composition “Angels,” a piece originally for muted brass. Three pieces here, all completely different, each with their own lexicon. Recommended listening.